Increased romantic exchanges are likely to occur today. This is good news for fresh acquaintances (some of them may end up under the waltz of Mendelssohn). You may also experience luck in your personal finances. If you wish, you could successfully practice a couple of fresh ideas aimed at potential financial strategies. 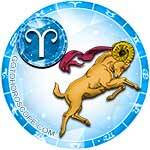 Avoid any conflicts, alcohol, or long negotiations. .
Aries, today, you can try to force new things. It is important for you, having decided on such an experiment, not to doubt success for a minute. 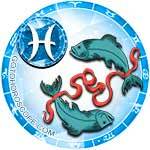 Today is not a good day for you to develop a close relationship with other people. Do not rush to share brilliant thoughts, personal plans, or creative developments. In the evening, it is recommended for you to take care of yourself and pay special attention to your body. To renew your mental and emotional strength, try updating your wardrobe or talk with a psychologist. Some Taurus will spend Tuesday with false optimism. You may fall prey to an ill-placed hope for success in unfulfilled dreams and relationships. Take into account this warning, and do not allow "rose-colored glasses" to steal away your connection with reality. It is also possible that the person in whom you had established a trust may let you down. 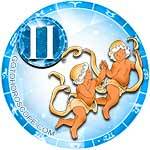 Geminis are advised to spend this day at a moderate pace. Avoid excessive enthusiasm in business and certainly, do not add to your stress by taking on someone else's tasks. You may struggle a bit with your emotional well-being. If you have an abundance of business and responsibilities to care for, send in for the help of a friend. Do not, however, allow your stress to overwhelm you because today, many things may not seem to be what they really are. 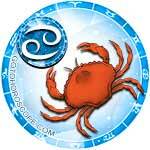 Cancers, February 12 should have a level of reduced activity. 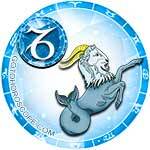 There is a risk that circumstances for this day will brazenly invade everything that you had previously conceived. Keep this advice in mind and spend your energy focusing on the details. In the afternoon, you have a good chance to receive encouragement from your higher management or you may also receive a surprise gift from your relatives. Also, don't be surprised if you have a surprise encounter with someone who you thought would no longer be a part of your life. 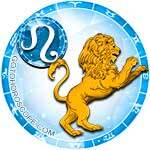 Many Leos will be able to spend Tuesday enjoying themselves and feeling harmony in all spheres of life. Different circumstances will arise to help you achieve success in business. Today would be a good day for both intellectual and physical competition. The only thing that you should avoid are experiments pertaining to your love life. Refrain from intimate meetings and do not flirt with people whom you have just met. Also, do not spend your savings on luxury items or gaudy electronics. 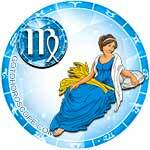 Virgo, you might experience a lot of trouble today. These troubles are probably related to minor matters in work and life. 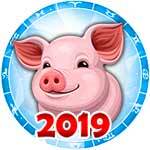 There is a chance to successfully solve a thousand problems if you are not distracted by the problems of other people. As for your personal life, you might be disappointed with the results of your relationships. 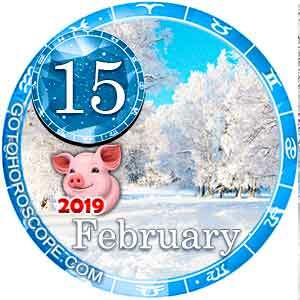 However, this day is suitable for casual meetings with friends, for discussing the future of your family, and for subtle hints of emotion for a particular person whom you care about. 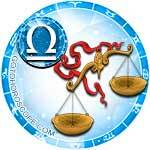 Libras on this day should allow themselves to be enveloped by an invisible shield. This "shield" will help protect you against aggression from unfamiliar people, and also it will keep you safe from petty problems and frustrations. A positive point from today can be found in some close friends. Speak your mind and voice your concerns because you are likely receiving some good advice. Avoid risks related to your finances, and don't venture out into any new financial opportunities. 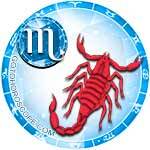 Some Scorpios will want to spend this day lazily. It may be possible to take some time off (day off) and fully relax. However, there is a chance that problems from some close family members will distract you from your time of rest. It is possible that you will have an emergency malfunction with home appliances. Also, toward the close of the day, you will have the opportunity to make some interesting acquaintances (most likely on the Internet). 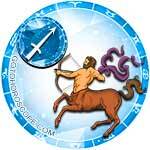 The mood of many Sagittarius on this day will be aggressive. This is the ideal attitude for conquering new career goals or in engaging in competition with your rival. Unfair methods of warfare are not suggested and avoid manipulating other people. In the evening, pay attention to the mood of close family members. Some of them may need your support and help. It is also recommended for you to maintain caution during your time of travel. 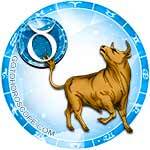 Capricorns on this day will probably be able to find success in their business. You should start implementing plans that you had made for future business goals. Remain diligent with your feelings and emotions. If you are single, be encouraged as you continually fight to find your potential second half. Capricorns in devoted partnerships today can partake in a serious discussion that determines the fate of their relationship. Don't try to be creative or experimental in your dining today as it may trigger an upset stomach. 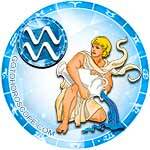 For most Aquarius, February 12 will be an unremarkable day that filled with busywork and domestic concerns. Look for positivity in business and work. Should you focus on these successes, your mood will not drop into depression and anxiety. After spending your day hauling difficult activities, it is recommended that you try to relax as much as possible in the evening. You should welcome any activity that brings you peace and mental rejuvenation. Alternatively, you should visit your parents or close friend. Pisces on this day should not forget about the little things that bring them comfort. If you have a device that has recently broken, be encouraged to fix it immediately. Short-term decisions may be required to strengthen your personal relationships. So, if you are in a relationship with a marriage partner, do not delay a necessary conversation. Those who are still looking for love should not keep several admirers at once.